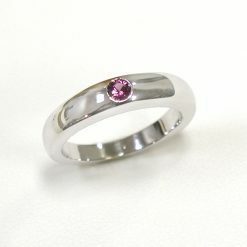 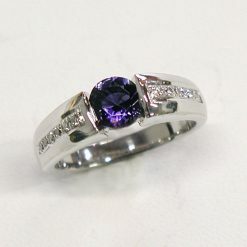 Valentina Pavé (Amethyst) - Leber Jeweler Inc.
3-mm rounded shank tapers toward the center stone. 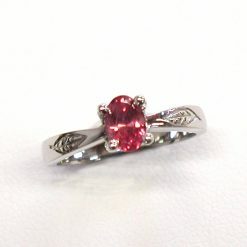 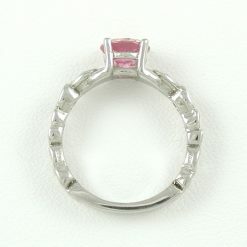 The delicate rounded four prongs sit up on the shank so that a companion band can position closely. 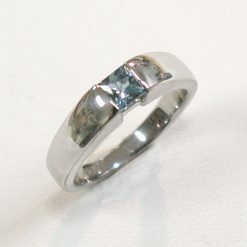 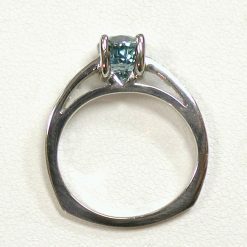 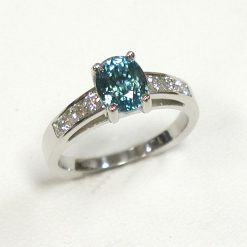 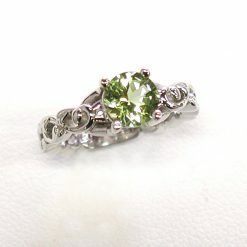 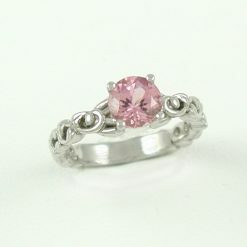 Six Canadian diamonds (G color, VS quality) are bead set into each side of the shank totaling 0.12 carat total weight. 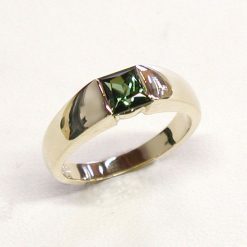 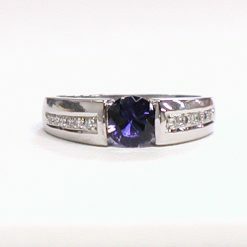 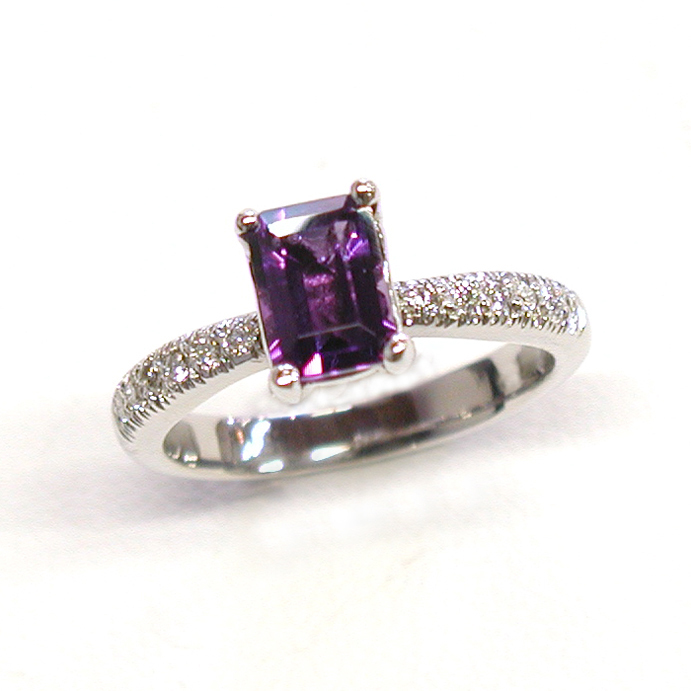 Set with a 0.90ct (approximate weight) emerald cut Fair Trade amethyst.